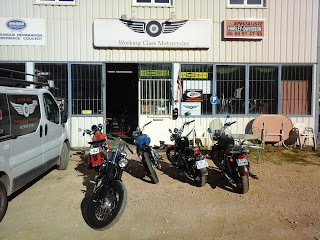 Working Class Motorcycles, it’s a small shop in France. WCM building custom bikes for guys and women who love the 'Old School' look. 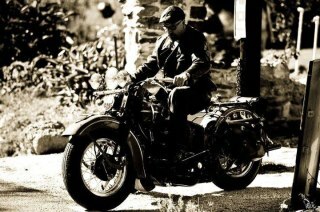 These bikes are built around, using mostly Harley Davidsons and English bike from the 1930's to the 2000. We also do restoration, maintenance, and repairs, service,on all types of motorcycles. Me and Tila in Nice for long time ago ( year 2002 ) at Harley Davidson Factory. I work there as mechanic in the work store . 1991 Springer/ Softail. rebuilding the engine..
Punta same years, sofy also !! Raleigh 1931 model, 500 monoblock lucas magneto . WCM - WORKING CLASS MOTORCYCLES. YOUR LOCAL MOTORCYCLES DEALER. WORKING CLASS MOTORCYCLES. Thème Awesome Inc.. Fourni par Blogger.